Hi everyone, how’s it going?? Hope you all had a wonderful St. Patrick Day’s celebration! Today I have a special polish, it’s one of my very first nail polishes I ever bought! Back in 2010 when my nail polish obsession began, I would research all the must have polishes of the brands I knew, OPI was the first “high end” brand ventured into because it was and still is the most available non-drug store polish with a strong reputation! I kept debating back and forth between this beauty and original Lincoln Park After Dark….I couldn’t decide which to purchase so naturally I bought BOTH! lol. 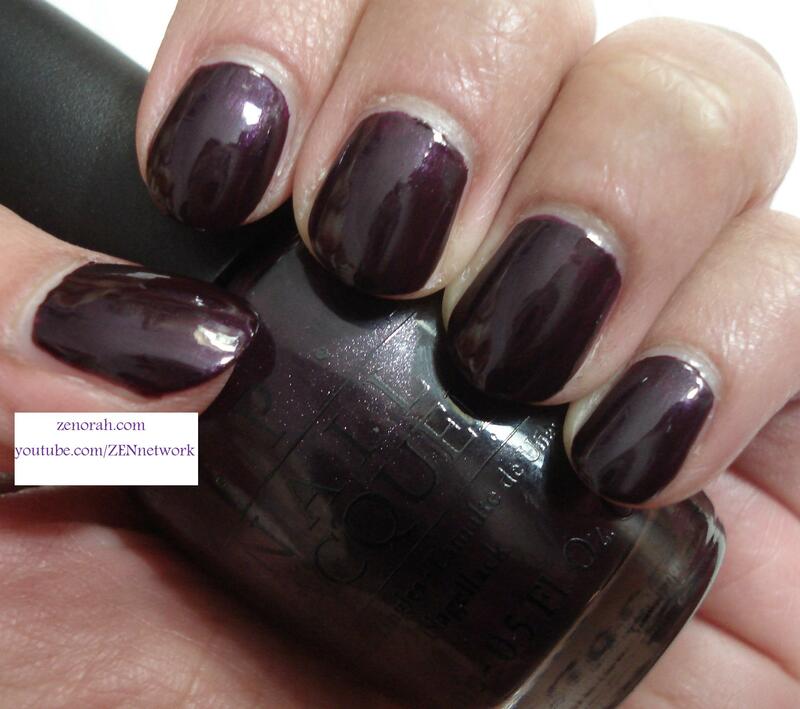 OPI Lincoln Part At Midnight – is a rich dark purple (red based undertones) infused with very tiny micro shimmer. After many years of owning both (this polish and Lincoln Park After Dark), I can safely say that I much prefer this one!! The slight shimmer really wins me over, I think it compliments the dark tone of the polish very nicely – look closely at the bottle to see what I mean. It was opaque on two coats aand very good dry time which is why I have a lot of OPI polishes! When I am limited in time, I always reach for an OPI polish because while it does chip more easily on me – it has one of the best drying times out of many many brands! 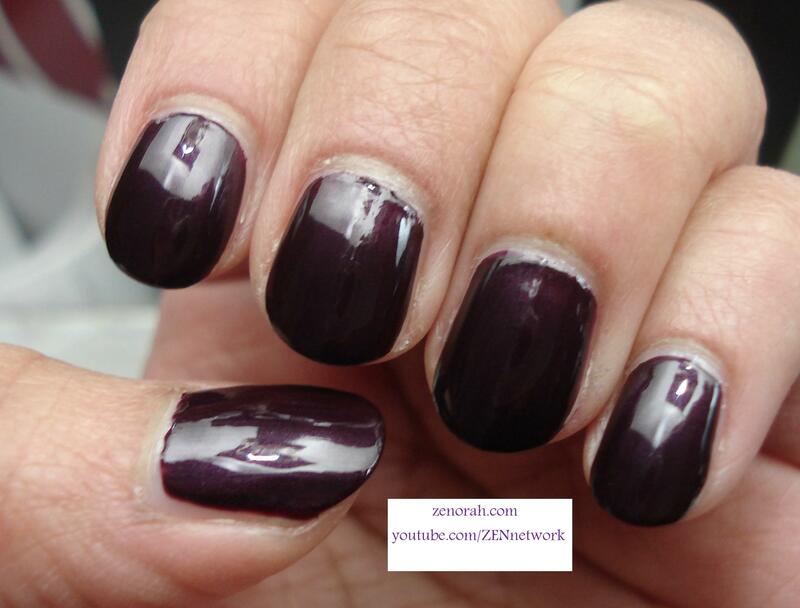 I wore this manicure for about 3 days, I saw tip wear around the 2nd day but that is normal for my nail beds. You can really see the shimmer on my thumb, have a look. It does appear black under dim lighting but you can see the purple hues coming through in daylight. I really adore this polish and while I have A LOT of dark purple polishes in my collection, for some reason I always come back to this one because it is consistent! 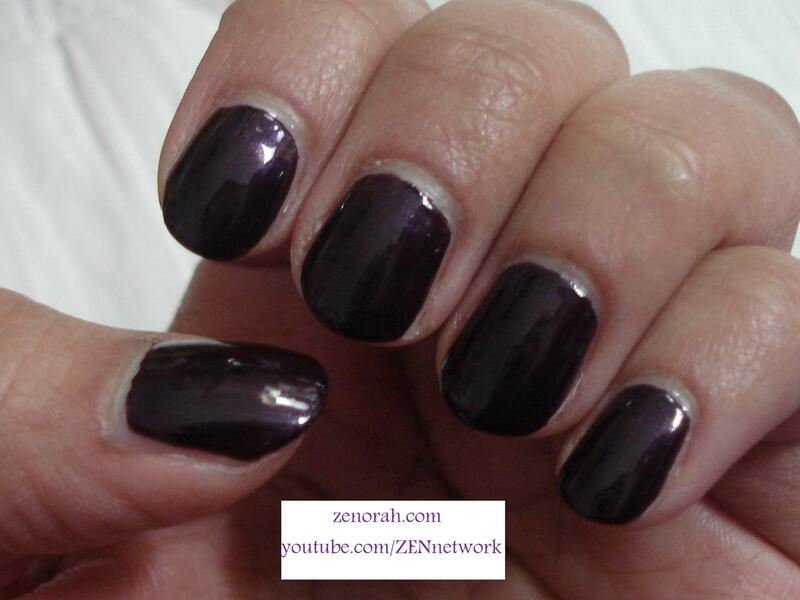 If you want to try a new dark purple shade, I think this one would be an excellent one to start with, it’s a winner in my books just based on consistency. Do you own OPI Lincoln Park At Midnight? What are your thoughts on this nail polish? awww you will LOVE It!!! I don’t blame ya girl! it’s a gorgeous polish =) definitely a favourite of mine as well.